Some years it’s easy to find reasons to be thankful and positive. This is not one of those years for me, and for many people I know. But I want to share something that really moved me. It’s a video of a basket maker in Rwanda (and it’s just 2 minutes long). Take a look! Being thankful for chairs, for electricity, for being able to support her family in a country that suffered the most terrible genocide not that long ago is truly a wonderful thing. As you may recall, in three months in 1994 an estimated 800,000 to a milion Rwandans were brutally murdered and a country destroyed. Today Rwanda has made the most incredible strides toward reconciliation. And if it’s possible in Rwanda, why not in the rest of the world? The day after Thanksgiving is the traditional start to holiday shopping. If you are heading to the Macy’s near you or just shopping online, I hope you will check out the baskets from Macy’s Rwanda Path to Peace initiative. Because the program is celebrating 10 years, there are beautiful 10th anniversary baskets available in festive red and white. Half of the wholesale price of every basket goes to the women who make them by hand. The weavers make roughly 10 times the average wage in Rwanda. 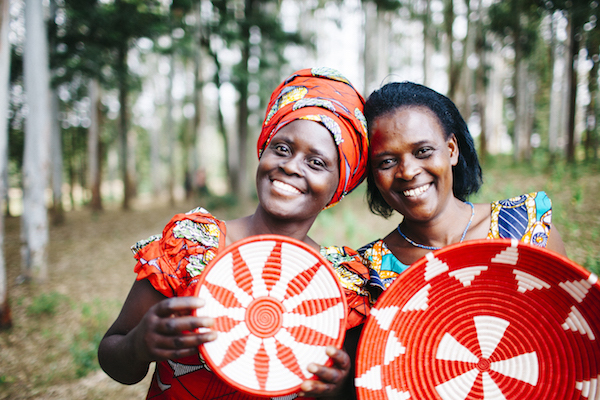 This amazing program supports fair trade, sustainable income and poverty reduction, it employs HIV-positive weavers to help them support themselves and promotes the culture of reconciliation by employing thousands of women who are organized in groups from both sides of the 1994 Rwanda genocide conflict. 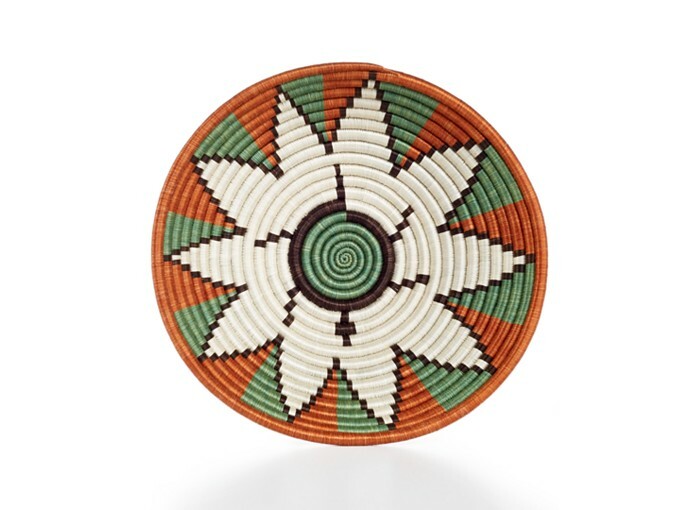 You can find the entire Rwanda basket collection online including the anniversary baskets which range from $30-60 each. Please note sale prices and discounts do not impact the amount the weavers earn. I’m giving away this gorgeous basket in Fall colors. I received this basket to review and am very impressed with the quality. It would make a wonderful fruit basket or centerpiece. To enter this contest and win the basket please leave a comment telling me what you are thankful for this year. You must have a US mailing address to win. You MUST leave your email address in the field where it is requested, it will not be visible to the public only to me. DO NOT leave your email address in the body of your comment, if you do, I will delete it. I will choose a winner at random on December 3, 2015. Disclaimer: I am a member of the Everywhere Society and received the product for this post as a gift. It was my choice to give it away and I was not paid for this or any other post.